At our final meeting of the 2017/2018 Rotary year, TTRC had the pleasure of inducting our newest member into the club - Tess Widdifield. Tess is the Rotary and Community Fundraising Manager at ShelterBox Canada, working to promote the Project Partnership and community fundraising campaigns in Canada. She started her journey into the non-profit world at Brescia University College at Western University, earning a degree in international community development. When she isn’t working to promote the mission of ShelterBox she can be found snuggling her three legged cat, doing something creative or cheering for the Raptors. On April 11th, TTRC had the pleasure of welcoming our newest member into the club - Guillermo Nafarrate. Guillermo Nafarrate graduated from UPF Barcelona school of management with a masters in finance and investments. He holds a professional financial planner designation attained through the Canadian securities institute. A self employed professional, Guillermo is the owner of Titan Capital, a wealth management advisory, investment firm and insurance brokerage. Guillermo plays ice hockey and is a die hard maple leaf fan. He plays the guitar and is a music fanatic. Guillermo loves to travel, his next destination is Egypt to visit the pyramids and experience the culture. An adrenaline junkie, Guillermo skydives, has run with the bulls and piloted aircrafts. On February 28th, TTRC were joined by District 7070 Governor Neil Phillips to welcome our two newest members into the Club - Diana Vasilescu and Giri Chittur. On December 20th, TTRC welcomed its newest member with the induction of Zahra Nathoo. Zahra is originally from Waterloo, ON and works in criminal law. On October 25th, TTRC inducted its newest member Michael Ash with the help of Rotary District 7070 Governor Neil Phillips. Michael Ash is a Digital Strategist at Red Lion Canada, a boutique ad firm recently shortlisted for Digital Agency of the Year award, and with clients ranging from auto to medical. Michael graduated from OCAD with distinction and was fortunate to receive the Queen Elizabeth II Aiming for the Top scholarship during his stay. Support TTRC at the Terry Fox Run! 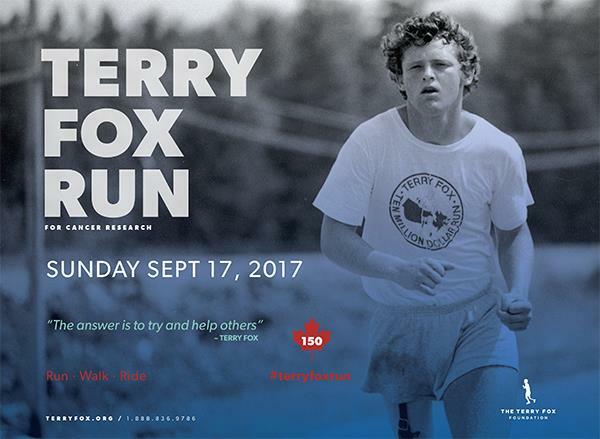 On Sunday, September 17th TTRC will be participating in the Terry Fox Run. Show your support for a great cause by donating to our team's effort. With Texas and the Southern USA not even remotely yet recovered from Hurricane Harvey, Hurricane Irma is currently barreling through the Florida with sustained record-breaking wind speeds of 210 km/h. Recently, floods in Thailand’s northern and eastern regions have affected over 700,000 people with damages in excess of $300 million. And on the West coast of Mexico, they experienced the strongest earthquake in their history this past week. All to say, many are affected by major environmental disasters and need help. Rotary is not, traditionally, an organisation of first responders. However many have been asking, "How can I help as a Rotarian?" One way is to support ShelterBox. On August 16th, 2017 TTRC inducted Neil Walford into the club. Neil was born in Montreal to a French-Canadian mother and an English-Canadian father. He moved to the Toronto area as a baby and has lived here ever since. After high school, Neil attended McMaster University and studied liberal arts, eventually earning an honours degree in Comparative Literature and Philosophy. While at McMaster, he was active in the University Quiz Bowl circuit, winning a Canadian undergraduate championship and going on to place 8th in the North American Inter-Collegiate championship. 75% of the funds raised by your team go to a registered charity of your choice. This year the residual funds raised will support the People With AIDS Foundation - Toronto. We have raised over $350,000 in our previous seven walks and want to continue these great results. Check with your team leader from last year or volunteer to lead this year. Click on the banner above to get started! We look forward to seeing you there.